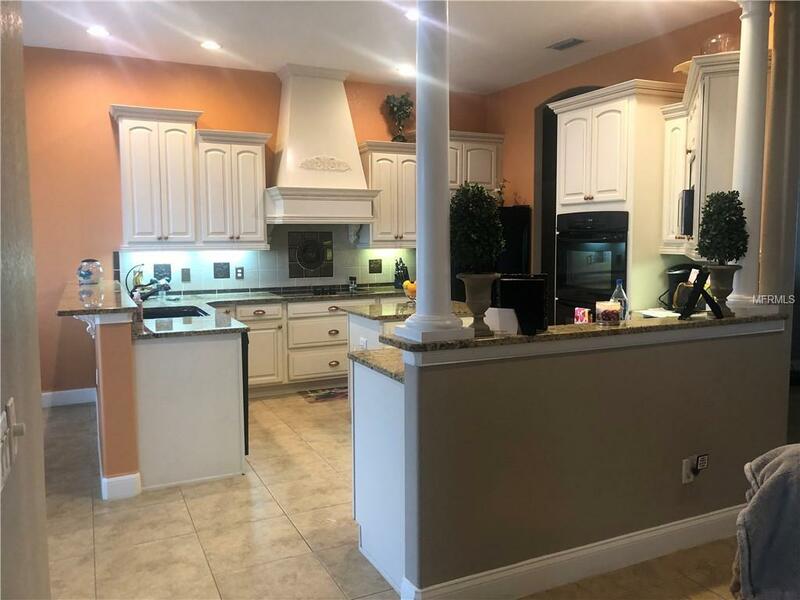 This spacious 3 BD /3 BA POOL HOME PLUS OFFICE/DEN could be 4th bedroom is located on the end of a quiet cul-de-sac street in the eighteen home, gated neighborhood of Tuscany in SE Winter Haven. Attention to detail is obvious as you enter the leaded glass entry doors into the foyer of this home featuring numerous quality upgrades including 12' plus ceilings throughout with tray ceiling in the dining room, great room and master bedroom, crown molding, columns, gorgeous lighting and fixtures, large size neutral tile in all main living areas, surround sound inside and out, EIFS for better insulation (not stucco), garage hardwired for generator and so much more. Great room with built in entertainment center and glass sliding doors leading to the lanai. 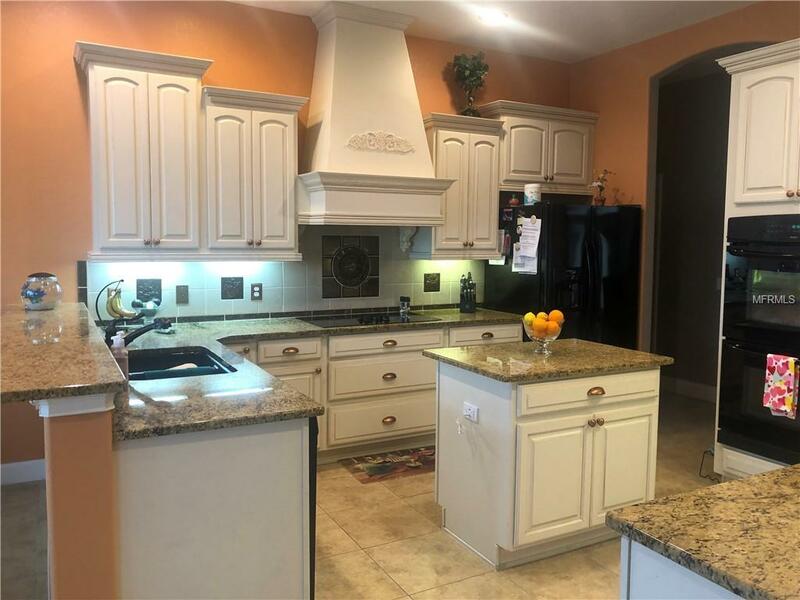 Grand kitchen with granite countertops, upgraded cabinetry with crown molding, island, breakfast bar, and double ovens...any chef's dream! Large breakfast nook with large window overlooking the inviting pool and single door leading to the lanai. 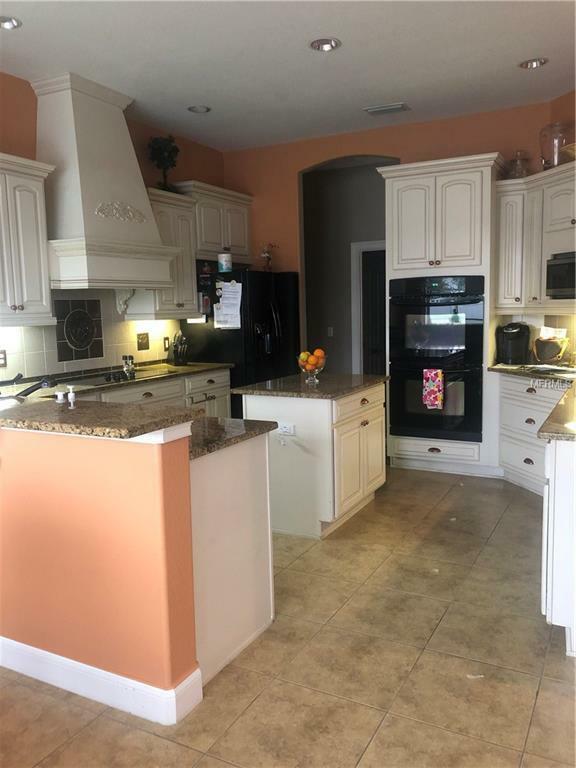 Master bedroom retreat with walk-in closets, single door leading to lanai, bath with slate tile, dual sinks, garden bath, and separate shower. Den features laminate wood flooring and French doors. Second bedroom has it's own private bathroom, which also functions as the pool bath. Outside you will enjoy your fabulous screened pool with waterfall planter and lanai with outdoor sink. Home has recently been painted inside and out. Brand new Trane A/C unit, gas water heater 2 years old. Schedule your private viewing today! 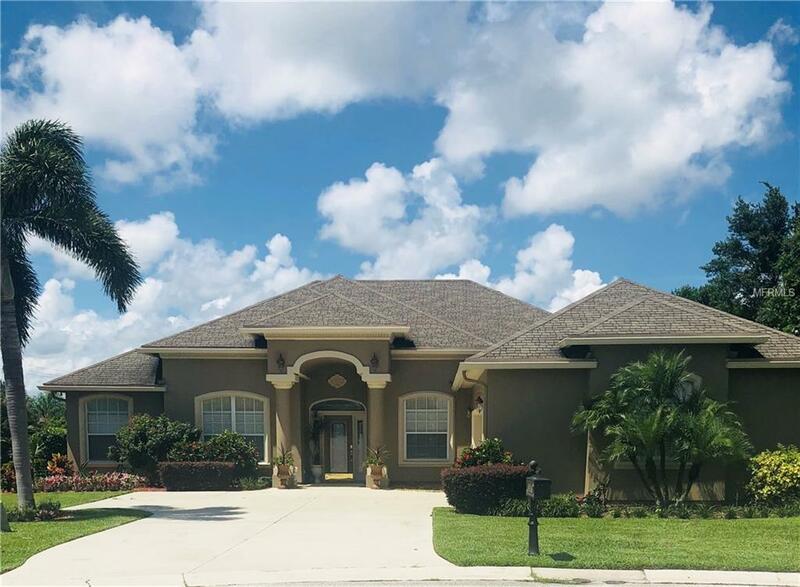 Listing provided courtesy of Weichert Realtors-Brandon Realty.